I am so excited for October’s project. Remember back in September when I didn’t have a project on my to-do list and I took apart the laundry room? Well now it’s time to put it back together. I’m even more excited for this makeover because I’m going to make the laundry room my part of the One Room Challenge. 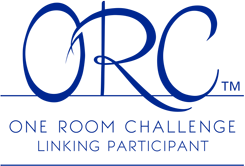 Linda at Calling it Home created the ORC three years ago as a way to help people stay on track and finish a room. Over the next six weeks, a group of bloggers and a whole bunch of joiners like me will be making over one room. We’ll be posting weekly updates on our blogs. So it’s not all that different from how I’ve handled my other projects so far this year. Now, I will admit that I’ve gotten a little bit of a head start on this challenge. I trimmed out the cabinet doors and painted them last month. I wanted to complete the makeover in October, but I knew two weekends this month were booked for non-DIY activities. As a DIYer with a day job, I absolutely need my weekends if I’m going to finish this in one month. Well, it turns out that the ORC gives me six weeks. So I’ll have a bit of a cushion. The purpose of today’s post is to introduce my room and tell you my plan. Everyone, meet the laundry room. Laundry room, meet everyone. Here’s the part where the laundry room tells you a little bit about himself. We are very fortunate that we have a great space to start from (and yes, I took these photos after the makeover had already started–bad blogger). There is lots of counter space and built-in cabinets. 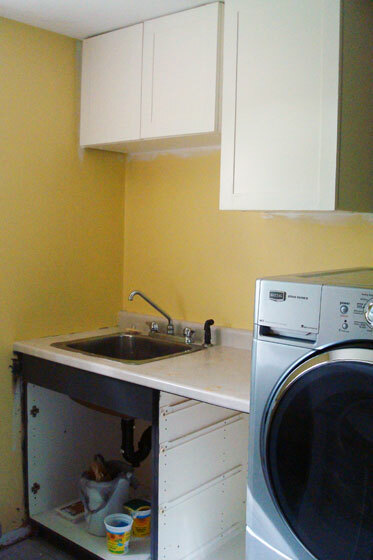 We have a utility sink and our new (okay two-year-old) front loading washer and dryer. Even though we’re in the basement, we have a nice large window. Now we redid the basement when we first moved to the farm. However, the makeover pretty much stopped at the edge of the laundry room. I scraped the stipple ceiling, took down the fluorescent light fixture, removed some posters that had been tacked to the front of the cabinets (why?) and that was it. Oh, except for our new washer and dryer (love you babies). Since the room is open to the rest of the basement, I’d really like it to be as pretty as the rest of the basement. And right now, it’s not. So this makeover is purely aesthetic, and I’m working with what is there in the laundry room already. Fourteen easy steps to laundry room bliss. Simple right? Is anyone else doing the One Room Challenge? 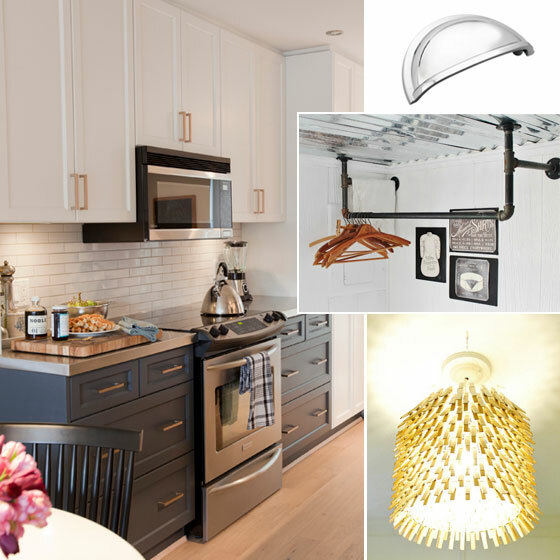 Do you find pretty laundry rooms as exciting as I do? Sounds like a very doable plan, and it will look lovely! I’m looking forward to seeing it. I have two rooms to work on – our bedroom and the office. Neither are getting much actual DIY, mostly just more organizing, downsizing, cleaning, arranging… However when they’re done it will be amazing. 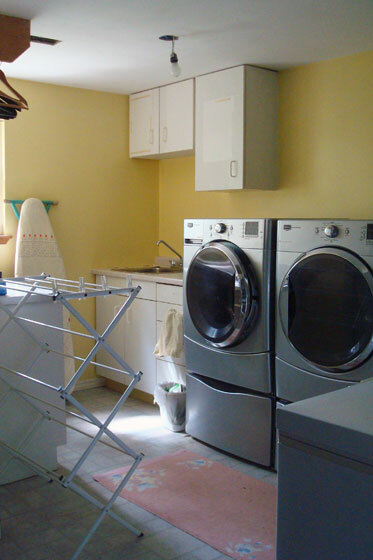 I like your laundry room ideas, and look forward to seeing them! Thanks Jan Elizabeth. Good luck with your organizing and arranging. You have such a nice big bright room, especially for being in basement! Your vision board is beautiful. I can’t wait to see the reveal!! Believe it or not, that window used to be a door. We don’t have a full walk-out, but the property does slope down at the back of the house, which gives us nice big windows. My previous house had a basement with little windows along the foundation line. The basement was so dark and damp, I hated going down there and that is where my washer and dryer were too. Oh my gosh this is amazing!!! You have a timeline. You’re seriously so organized, I love it. I also love your vision and I think the space is going to look AWESOME! The timeline is essential for me if I’m going to get this project done. Thanks for your comment, Thalita. I’m a “list person” so I love, love your list with due dates! 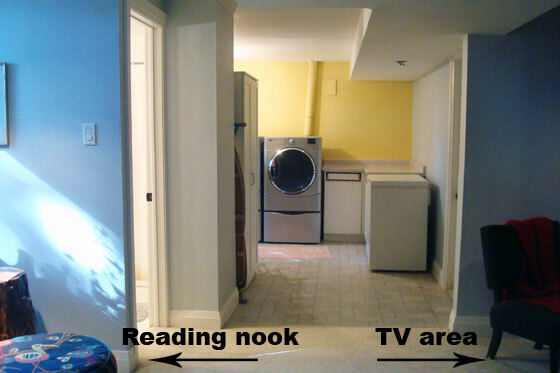 I did a laundry room makeover for my last ORC – I am so glad I did it! You are going to love your new room! Deadlines are the key for me. I checked out your laundry room. What an awesome transformation! So bright and cheerful. Lovely job. Yeah! 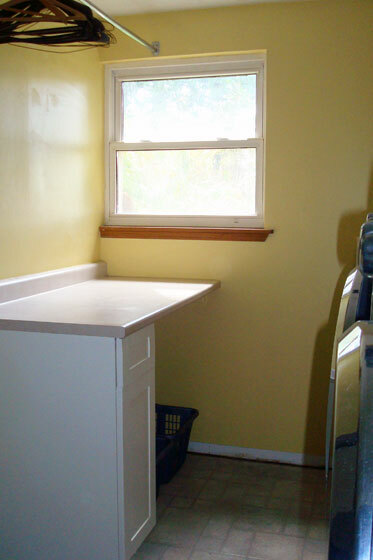 I don’t know why, but I just LOVE laundry room makeovers. Your inspiration pictures are fantastic. Thanks for stopping by, Melissa. I can’t wait to see what you do with your pantry. I am doing my laundry room too! a separate laundry space is a true commodity! Love your plans for this room and can’t wait to see how it all comes together! xoxo. Thanks for stopping by my blog, Tara. I love that we’re both doing our laundry rooms, and I love that we’re doing them on our own. I’m looking forward to seeing your progress.